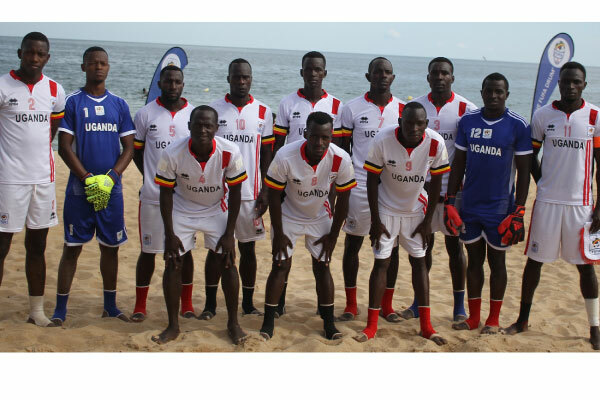 ABIDJAN – The Uganda Sand Cranes will not be part of the 2018 AFCON Beach Soccer tournament in Egypt later this year. This was confirmed on Friday evening when Salim Muwonge’s side failed to overturn a 3-1 deficit away to Ivory Coast in Abidjan only managing a 4-4 draw. However, the Sand Cranes will take heart at the fact that they managed to draw in the second leg despite losing miserably in the first leg at home. Ivory Coast who win the tie 7-5 on aggregate will now join hosts Egypt, Libya, Morocco, Senegal, Nigeria and Tanzania as the seven confirmed nations at the tournament. The other remaining spot is still being fought for by Madagascar and Mozambique who play their return leg of the qualifiers on Saturday. Madagascar defeated Mozambique 5-4 in the first leg played in Maputo on the 9th of this month. As a consolation, Uganda will still be represented in Egypt as referees Ivan Kintu, Mohammed Ssenteza and Shafic Mugerwa will be officiating at the finals.